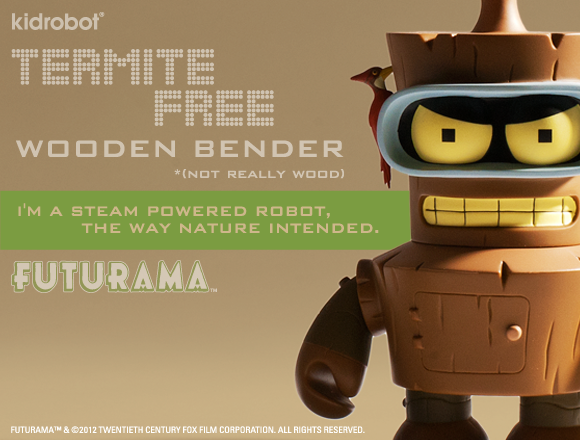 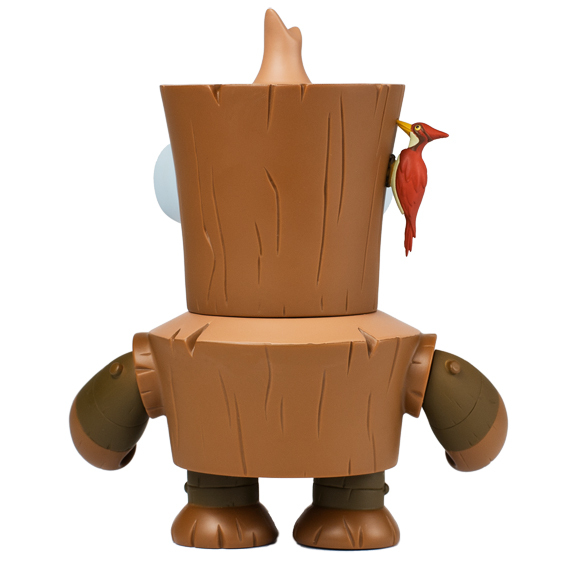 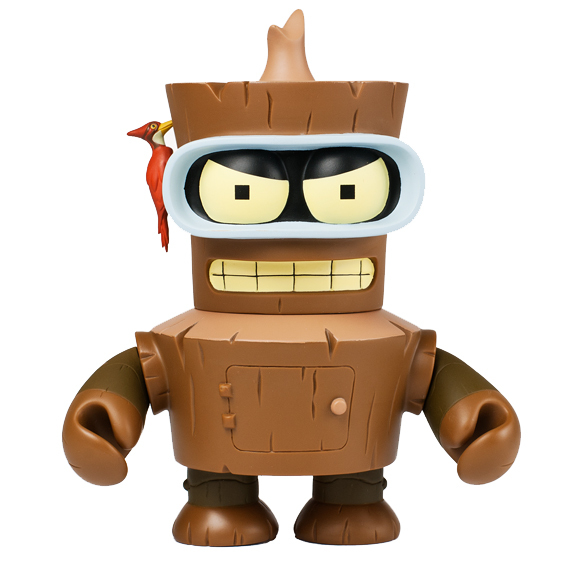 Futurama’s Wooden Bender 6-inch vinyl figure is here and officially downgraded! 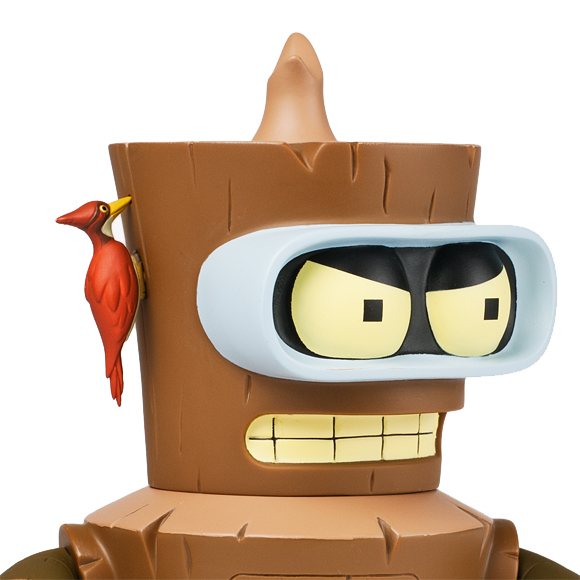 Complete with removable red woodpecker and “technology-free” stumpy head and body, Wooden Bender is 6 inches tall and designed with the Kidrobot aesthetic twist, making this primitive vinyl ‘bot feisty and termite-free. 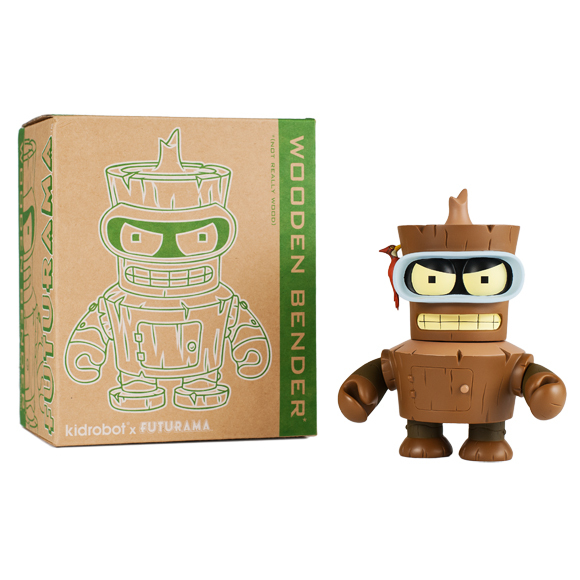 Wooden Bender wages his war on technology for $50 US, beginning June 7 at Kidrobot stores, kidrobot.com, and select retailers worldwide.